How can I order locks for my highboard? Once the highboard has been placed in the cart, matching accessories will be displayed under the basket - including locks. Can the drop-down door also be installed in the lower level? What is the carrying capacity of the uppermost drop-down door? 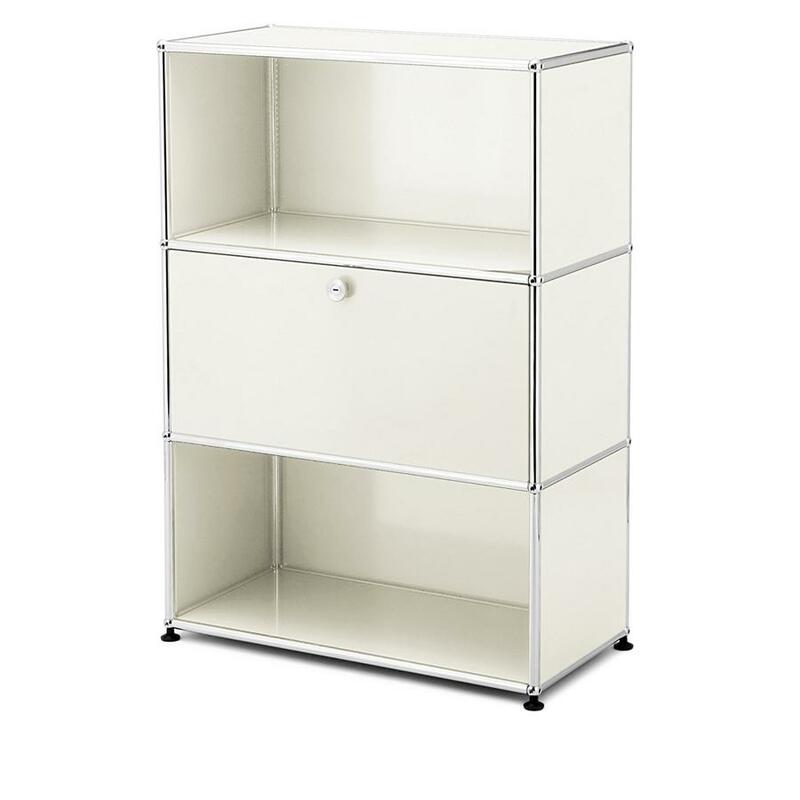 Should a standard drop-down door be used in the open state used as a temporary desk and/or shelf, the vertical load must not exceed 10 kg. 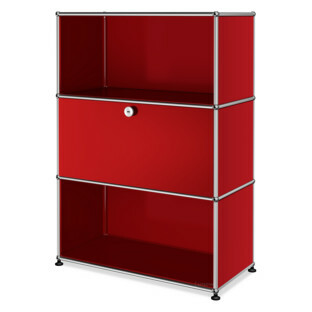 The USM Haller highboard M with one drop-down door is part of the USM modular furniture system Fritz Haller designed in 1963 for the interior of the new office pavilion he had built for USM in the Swiss village of Münsingen. Looking to expand the family business and prepare it for future challenges USM director Paul Schärer commissioned the local architect Fritz Haller with the construction of new administrative and production facilities; and critically the furnishings for the administrative building. For Paul Schärer the new interiors should be flexible yet contemporary and so understood in context of the, then, new open-plan office concept. Consequently in 1963 Fritz Haller developed the USM Haller sideboard as part of a shelving and storage system exclusively developed for USM. 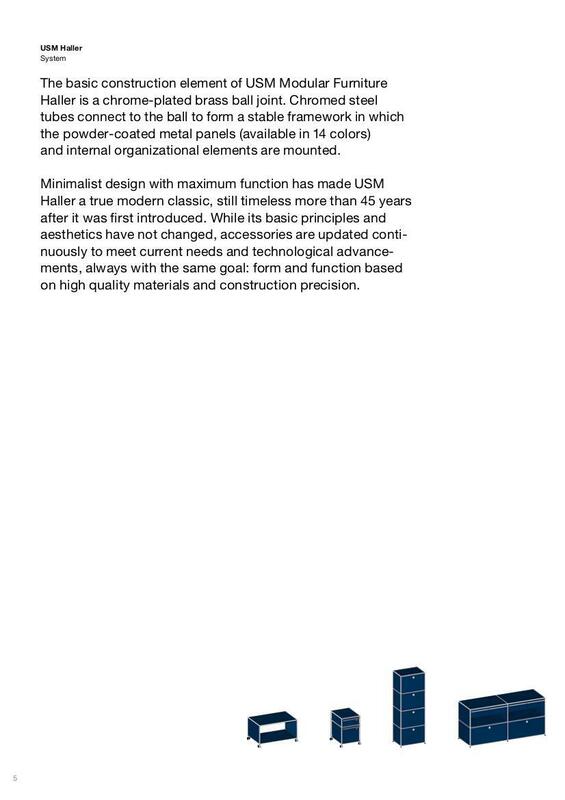 It wasn't to remain so, and after supplying a number of other companies with the system, in 1969 the USM Haller system entered series production. 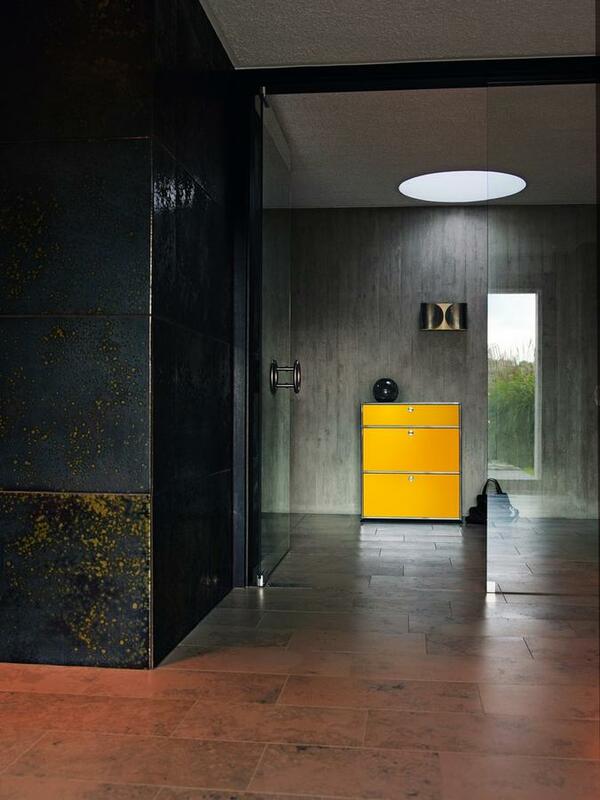 Since then, the USM Haller system with its characteristic simple modular principle andf wide variety of interior design solutions has gone on to become an established design classic. 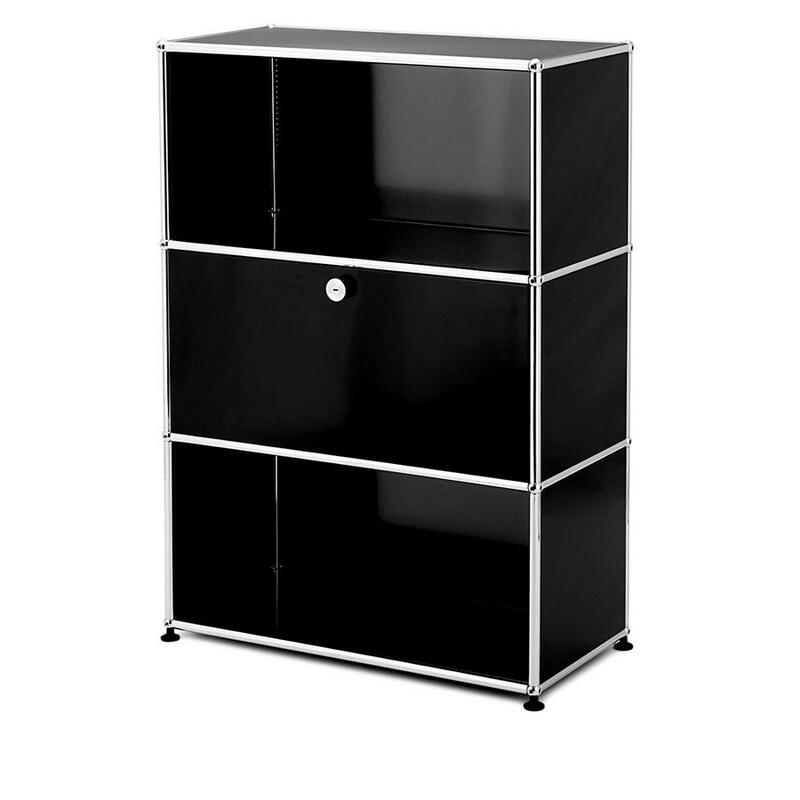 The USM Haller M highboard with one drop-down door, as well as the other USM furniture, are assembled from just three basic elements. 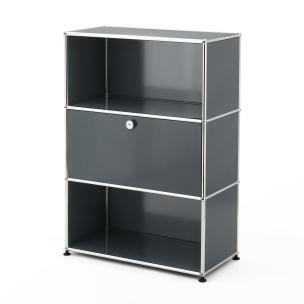 The consequence of this simplicity is a system that can be built, and re-built, to meet your immediate needs. 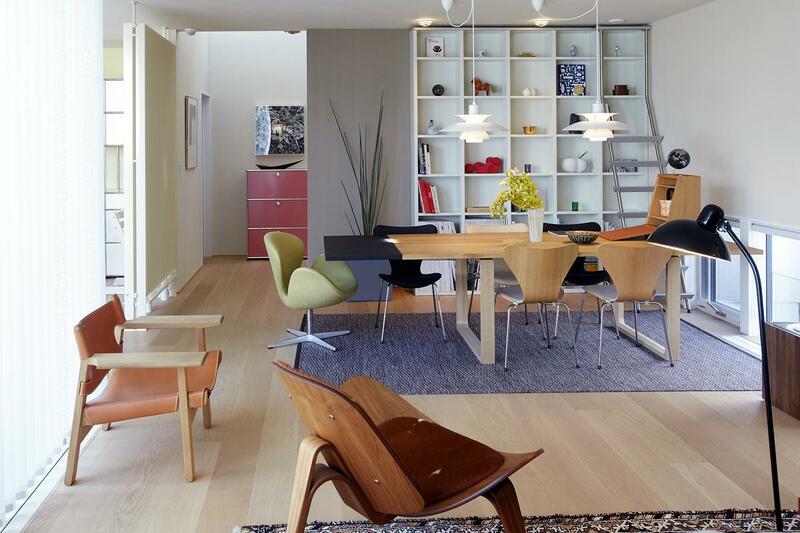 The designer of the USM furniture systems, Fritz Haller, came more or less by chance to furniture design. 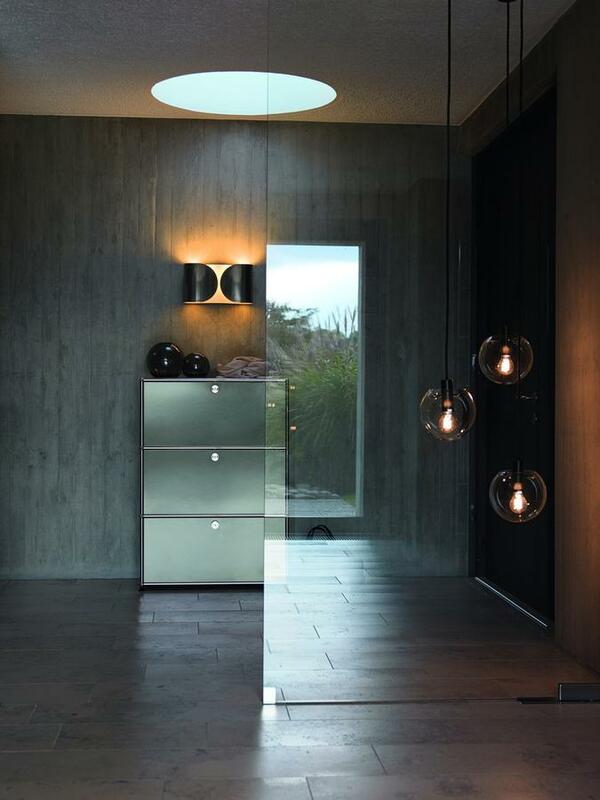 Te son of an architect Fritz Haller graduated in 1943 as a draughtsman before studying architecture himself. 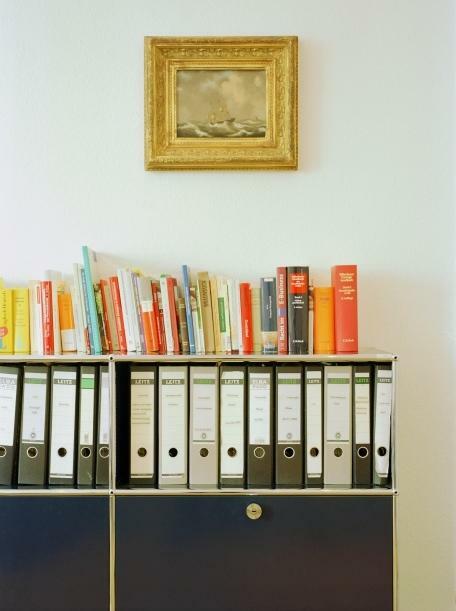 In 19498 Fritz Haller spent a year in Rotterdam working in the office of Willem van Tijen and Berend Bakema: two of the most important Dutch post-war modernist architects and two men who had an enormous influence on the fledgling functionalist Fritz Haller. 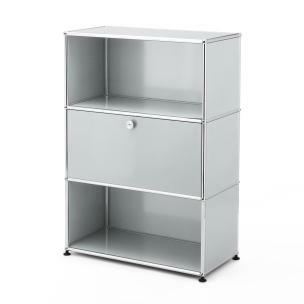 From this functionalism later arose the USM Haller sideboards and other components of his modular furniture family. 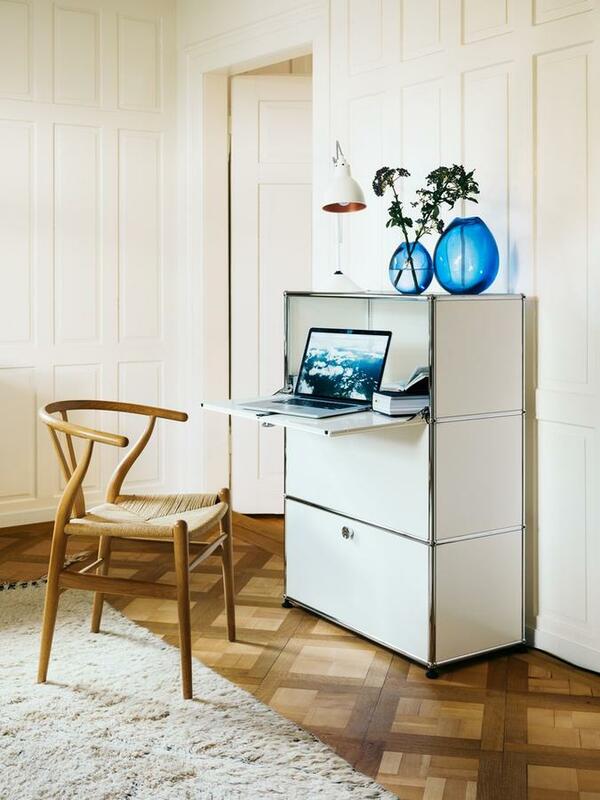 The USM office furniture system was developed Haller after he had completed new buildings commissioned by USM director Paul Schärer. 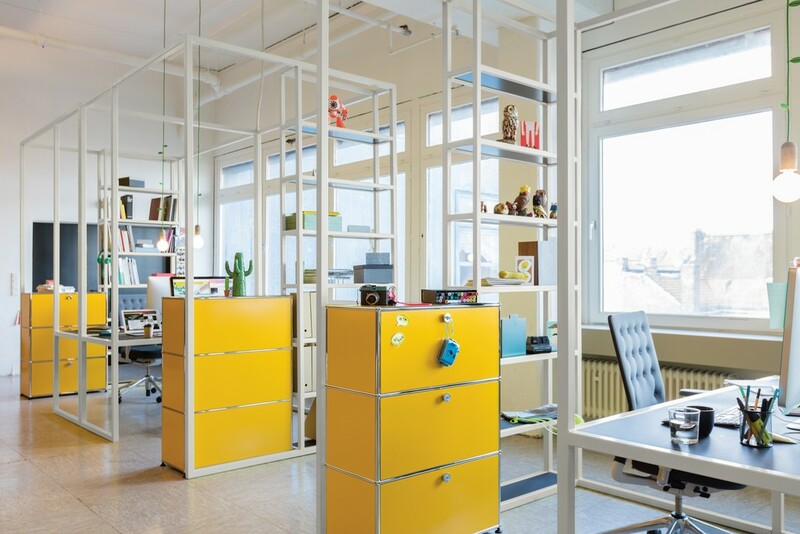 Originally only planned for use in the company's own office pavilion in Münsingen, Haller's shelving and storage system was to revolutionized ideas about office furniture. 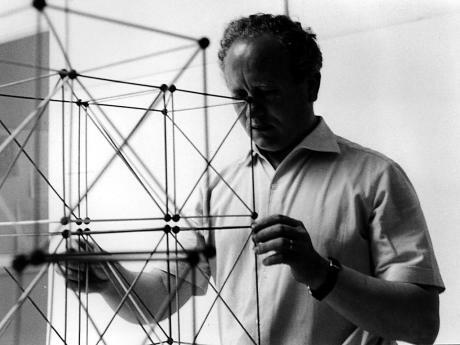 In 1977 Fritz Haller was appointed successor to Egon Eiermann as architecture professor at the University of Karlsruhe, and in addition taught in Dortmund and Stuttgart. 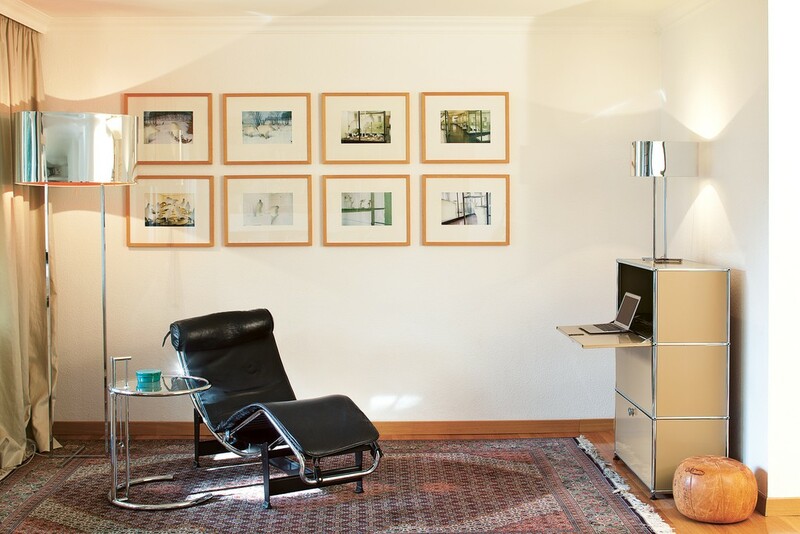 System USM Haller, Fritz Haller's only venture into furniture design, would however remain his most successful work and has won several awards. Fritz Haller died in 2012 in his native Switzerland. 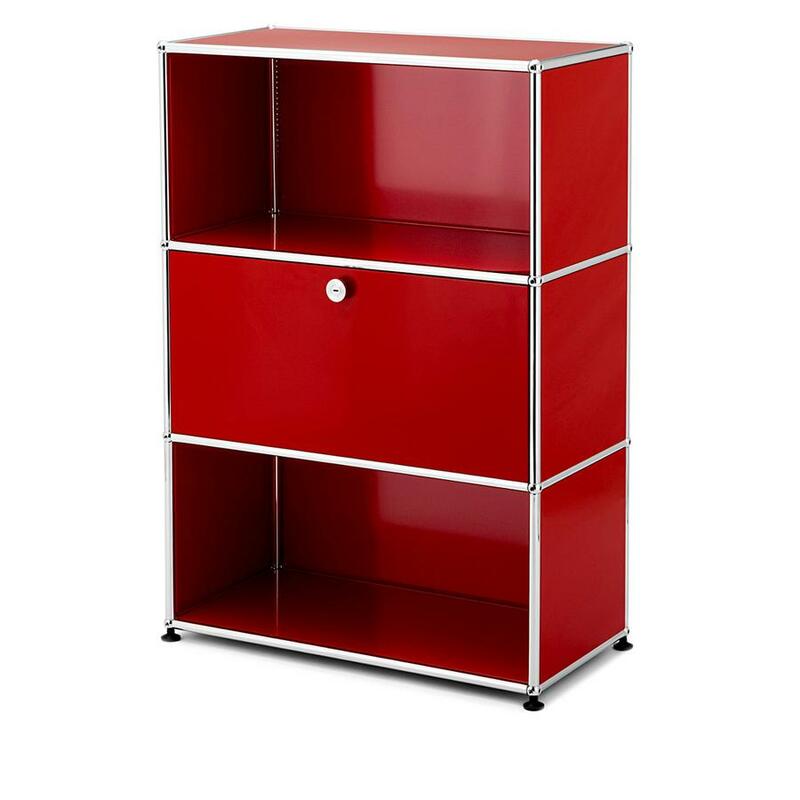 The USM Haller highboard M with one drop-down door has a long history. In 1885 Ulrich Schärer established an ironmongery and locksmithing business in the Swiss village of Münsingen near Bern. 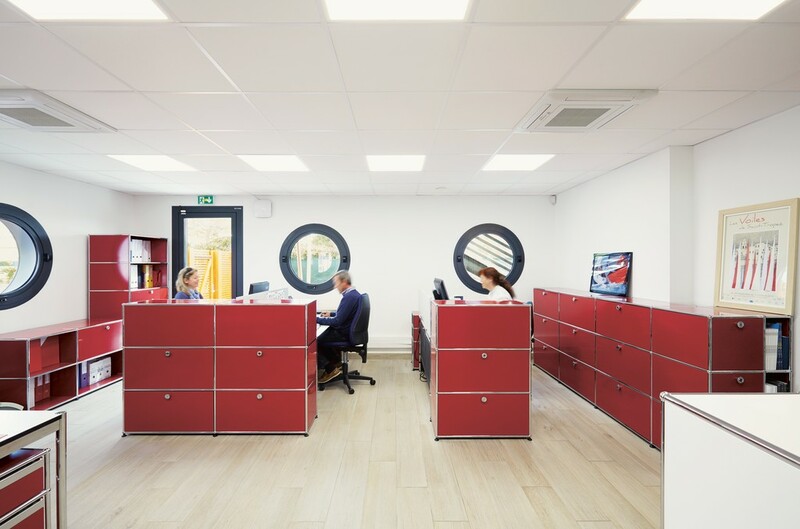 After slowly developing and growing by the early 1960s the company had evolved into a successful producer of window fittings and general sheet metal fabrication. 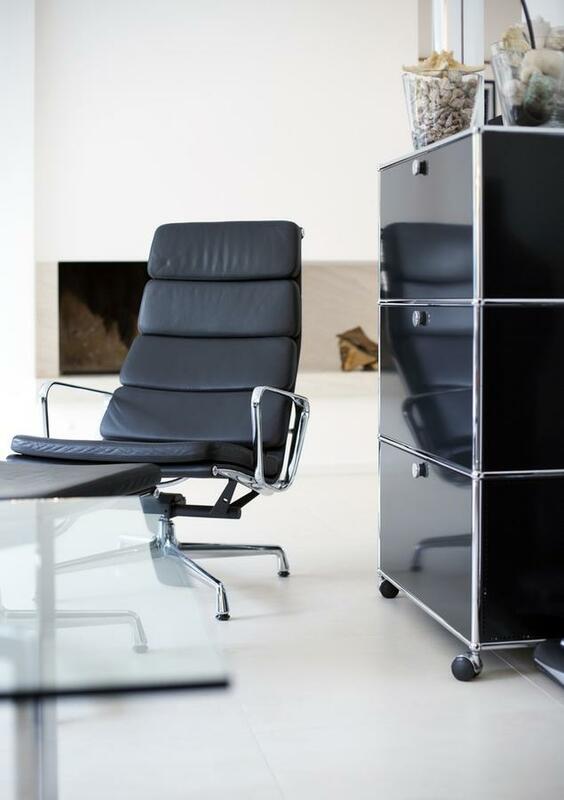 Then in 1963 Ulrich Schärer's grandson Paul Schärer commissioned local architect Fritz Haller with the development of furniture for the recently completed new company headquarters: and this USM Haller furniture system would then be decisive for future history of the company. 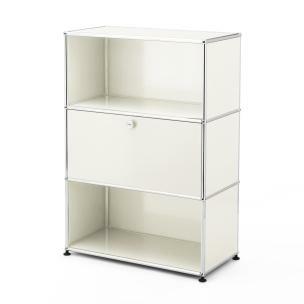 In 1969 the USM Haller modular furniture system entered series production, has been protected by copyright since 1988 and has been part of th MoMA New York's permanent collection since 2001. 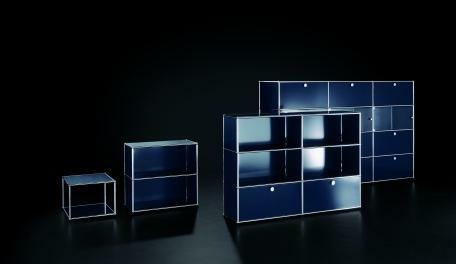 In 1992 USM ceased production of their window fittings to focus exclusively on the production and development of the USM furniture range; a range which today includes besides the USM sideboards, also USM mobile containers and USM tables. 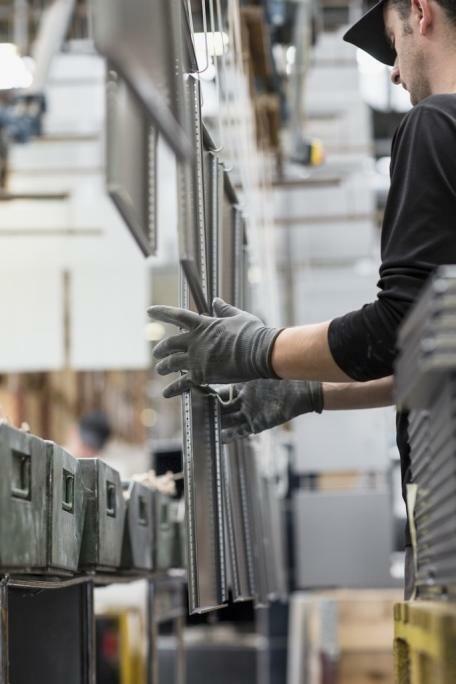 Production of the USM modular furniture system is focussed at the company's headquarters in Münsingen Switzerland. Here all metal componnets are produced and the metal panels powder coated n one of the 14 standard USM colours. Items for the German market are then transported to the USM factory in Bühl, Baden-Württemberg for final assembly. An important factor for USM is that all stages of production and distribution are designed and organised to be as a responsible and sustainable as possible in terms of, for example, use of energy, emissions or raw materials. 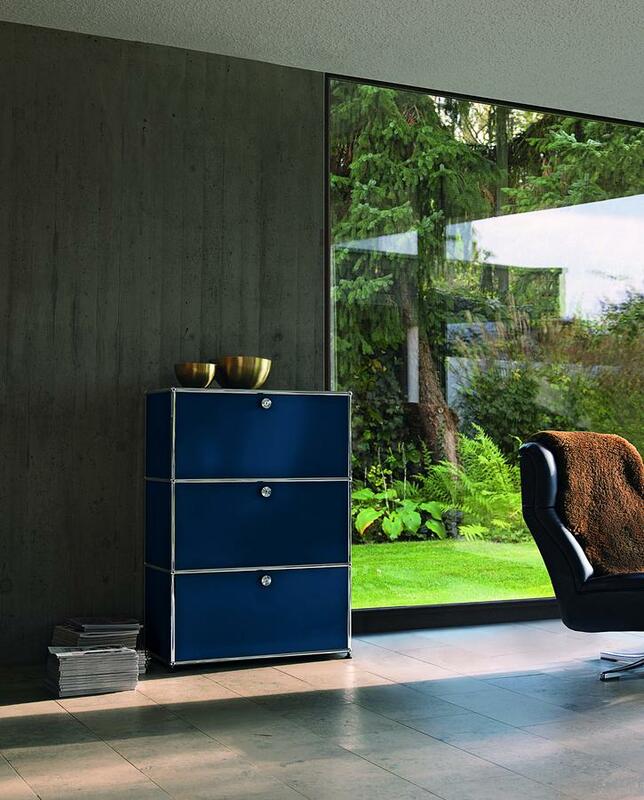 Environmental responsibility is of course also an inherent feature of the USM Haller product family: A commitment to only using top quality materials creating an extremely durable product, while the furniture systems modular nature means it can be adapted to meet requirements. Consequently there should never be a need to dispose of any USM Haller unit. When it no longer meets your requirements. Rebuild it. Fritz Haller: Designer of the System USM Haller. 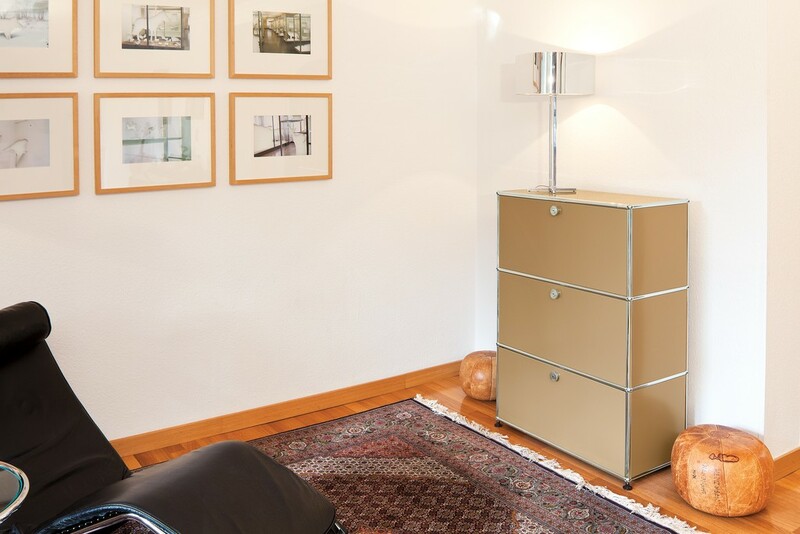 Not only Fritz Haller's architecture but also his USM Haller furniture system can be understood in context functionalism.. Although the term had already played a role as a key principle of the Bauhaus school, it wasn't until after the Second World War that functionalism developed to become the epitome of modern construction. For functionalists all decoration and ornamentation should be avoided and instead the architect or designer should focus on functional aspects of their design. 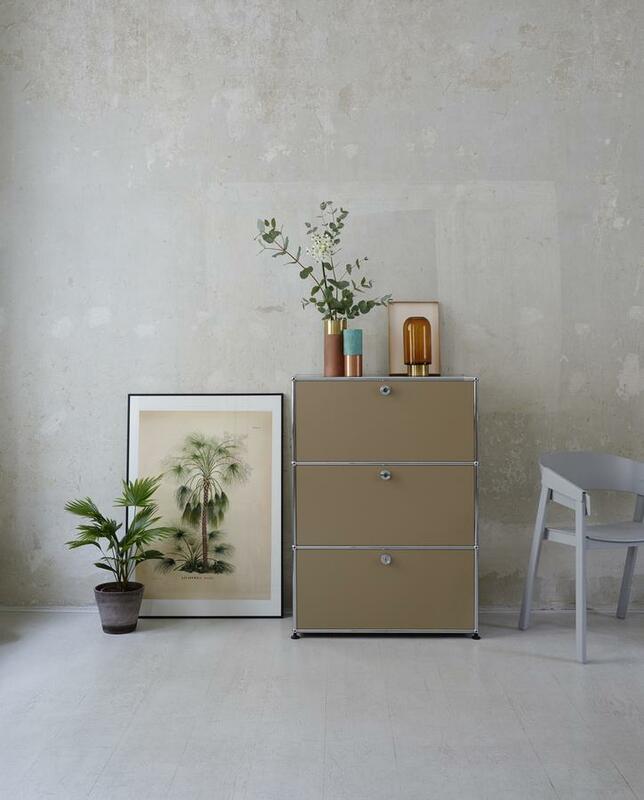 Fritz Haller's storage and shelving system fulfils these needs in the purest of ways: its flexibility and adaptability means that when the functional demands of a system change so can the form. And with its strict reduction to basic geometric structures, even 50 years after its creation, it remains an expression of timeless grace. 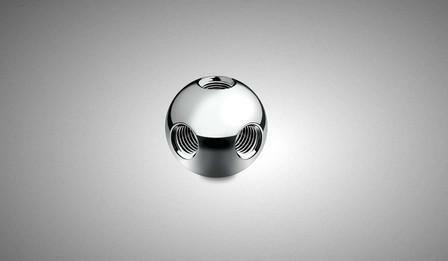 Hallmark of the USM furniture systems: the chrome plated brass ball that binds the individual elements.